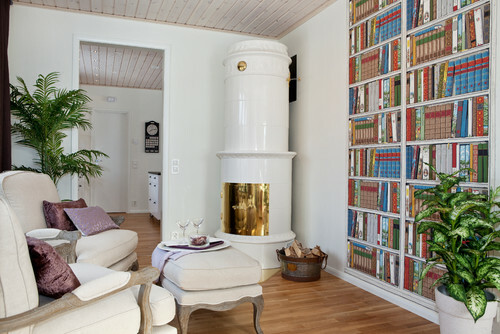 The traditional Swedish masonry stove (kakelugn) is still a popular feature in many homes today. 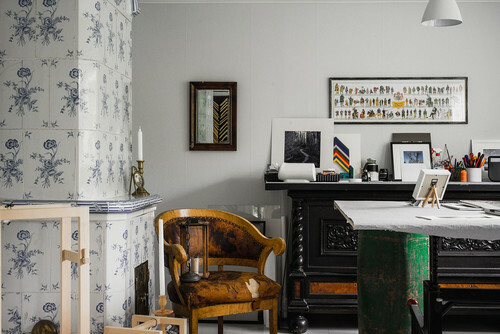 Houzz.se's Amanda Strömberg has found out more. A fireplace spreads warmth and adds a unique character to any home. These tiled stoves continue to be an efficient source of heat, or just an eyecatching piece of decoration, even after 300 years. The tiled stove was actually developed in southern Germany and only came to Sweden in the late Middle Ages. In the 16th century, King Johan III had stoves built at Kalmar and Borgholm Castles. They were, at the time, an energy-guzzling construction. During the 18th century, the iron industry caused a wood shortage, which meant that people urgently needed fireplaces that helped retain the heat in the house. Two Swedes, Carl Johan Cronstedt and Fabian Wrede, invented a genius solution that became the start of modern Swedish housing. The tiled stove was a popular source of heat until the First World War. Then, when the central heating system was introduced, people enjoyed the radiator’s smokeless heat. Many of the stoves were torn out and thrown on dumps. Today, however, the tiled stove is making a comeback, largely because of rising energy prices and an increased interest in culture. They guarantee higher value if you consider selling the property. A stove should not just be a delight to the eye, it should also heat the home efficiently. But how does it work? 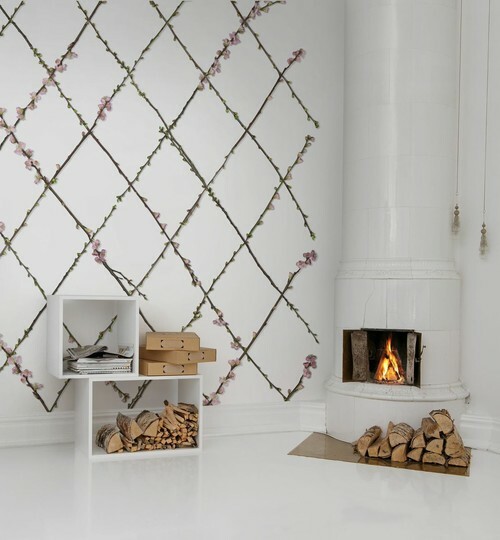 Well, a tiled stove is designed to maintain the heat from a fire as long as possible. Experts created a labyrinth of vertical passageways that the heat must be passed through, and thus the stove retains the heat longer than from the kind of heat sources that emit heat directly into the room and the chimney. A tiled stove quickly reaches about 8kW and is a good way to heat up a room quickly, while a fireplace comes up to a pleasant 2kW approximately three hours after the fire is lit. It then keeps the heat for hours, often all night. How often should you top up the firewood? Add more firewood carefully and with common sense. There is no point in filling up the fireplace with a lot of wood, it is designed to take care of the heat there is and manage it well. Approximately two to three fires per day is a good measuring stick to best preserve your stove, reduce accidents and save the neighbours from any bad odours. Remember that it takes a few hours before your stove gets hot, but it will radiate the heat longer. This kind of stove almost makes you want to throw your arms around it after a cold walk. When the Rococo style entered Sweden, everything suddenly became larger, curvier and more colourful. The inspiration came mainly from Chinese designs and it was not unusual to use patterns from blue-white tableware on the stoves. The motifs were painted by hand on each tile, in cobalt blue, yellow, green or brown violet but during this period most commonly on a white background. During the Empire style of the Napoleonic era, the stoves were simple and unusually low. This was so that you would have room for a big trophy or statue at the top – a multifunctional form of furniture had been created. The stoves were normally all white with sparse decor, just as in the picture above. Shapes from past eras started to reappear again. The stoves were adapted for upper-class ideals where different rooms were decorated in their unique style. 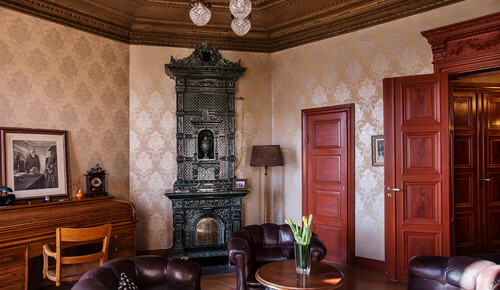 For example, a room could be decorated in a neo-renaissance style and then have a stove with relief patterned tiles in various dark colours. The stoves used to be all white in the same period, plain and simple. And did you know those are the stoves that are the most popular ones in Sweden today? You can’t help but wonder what the historical upper-class people would have said if they knew that. All white, clean and stylish – that was the preferred design when the Art Nouveau style was popular. Stoves were decorated sparingly with occasional reliefs from the plant kingdom. Even painted patterns occurred. Interested in a classic tiled stove? Contact your local stove-builder to have a look at how a classic tiled stove could be installed in your home. 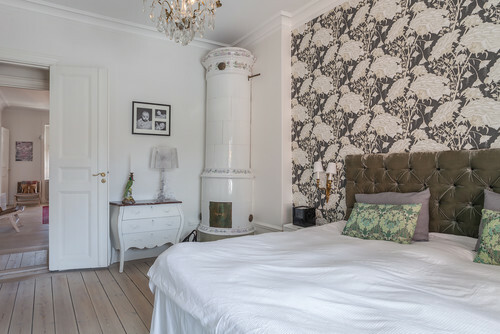 They cost up to 100,000 kronor ($11,600), but if they are built correctly, stoves can decrease electricity costs – and they are so much better looking than a radiator too. 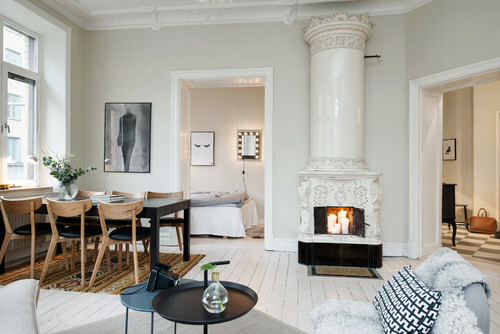 Come see more Nordic lifestyle, design and architecture over at houzz.dk and houzz.se.